Digital sales technology has found its way into the shop shelves at our stationary retail outlets. 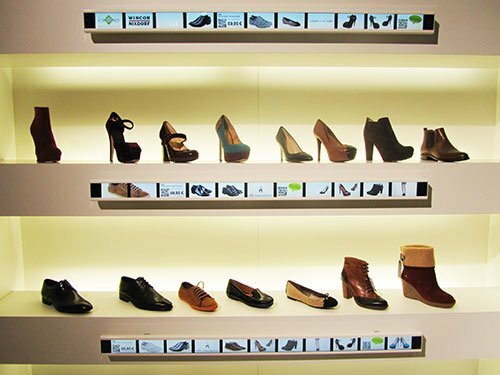 The question has long since no longer been “if” but “how” these digital components can see effective use in retail space. The classic world of stationary retail is now facing a new challenge: multichannel retail. Online retail doesn’t just represent a continuously expanding form of competition; increasing numbers of online marketers are now opening new stores in towns and cities all over the world. 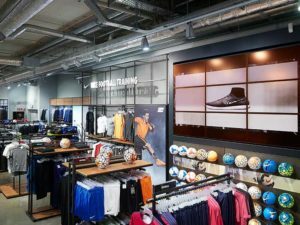 The development of multichannel retail is no short term trend, but is based on the knowledge that a considerable amount of potential turnover is to be found in linking the differing sales channels. “Multichannel retail” are the magic words for the retail of tomorrow. For this purpose, the shopping experience has to be reinterpreted. This is an area in which the PRESTIGEenterprise software for POS marketing can help you. If we have learnt one thing in recent years, it is that today, customers expect more from stationary retailers than just good products at good prices. The key discipline in the area of store design is therefore the creation of experiences – with integrated gastronomic zones or other entertainment concepts that have an event and community focus, for example. Nowadays, going shopping is a leisure activity and customers expect a high entertainment factor from their visit to a stationary retailer. The digital transition has reached the world of wholesale and retail: smartphones and apps have radically changed the rules of the game. Stationary retail has to prepare for the future—but how should retail companies respond to digital change? Firstly, the physical presence of items retains its appeal. It provides the customers with the opportunity to touch and try out products. Secondly, fascinating possibilities are offered by display screens, information terminals, the internet and mobile smartphones. These offer a brand new way to present products in an exciting way and to make them desirable and worth buying, and they are introducing brand new services to the sales process. The synthesis of the digital world and the real world—i.e. 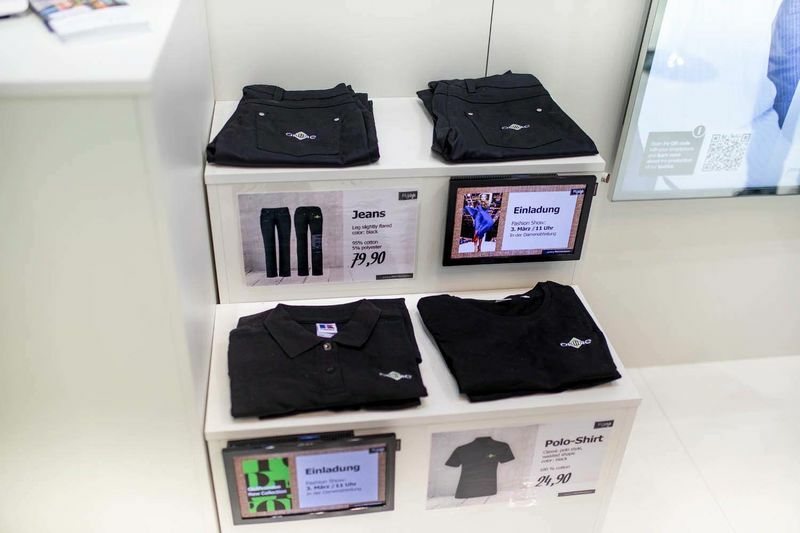 multichannel retail – is where the success story for the retail of the future is to be found. – In direct contrast to a development in which the lowest price is always the decisive factor. With the PRESTIGEenterprise digital signage software, you combine a label printing software with a professional platform for in-store TV and can address all of the key channels. Due to the widespread use of mobile devices and the impact of e-commerce, the world of stationary retail is facing considerable changes. Owners of retail outlets who fail to adapt to these changes could soon disappear. Forging links between the channels provides a good opportunity for stationary retailers to be able to prevail against online retailers. To put it figuratively, the individual sales channels combine their forces as a team and march on to victory. The integration of online media and the latest IT products, attractive product presentations and the creation of tangible experiences at the point of sale are concepts which promise success and with which retailers want to become fit for the future. With PRESTIGEenterprise supporting as your multichannel marketing software, you are perfectly equipped! 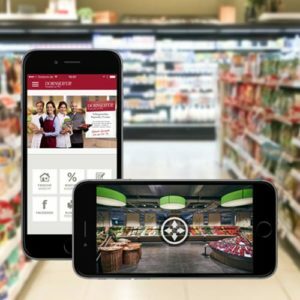 As different as the technical marketing approaches and technical solutions surrounding multichannel retail are, they nonetheless have one thing in common: efficient multichannel retail with an effective form of cross-media communication can only work if professional software is used in order to manage all processes. PRESTIGEenterprise is a web-based business solution for retail outlets with software solutions that also support retailers with multichannel retail. With the use of standard interfaces, PRESTIGEenterprise allows links to be made with the existing IT landscape, such as merchandise management systems or marketing databases. 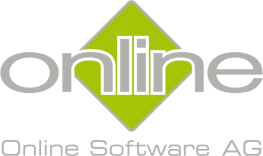 The software therefore creates plenty of potential for automated processes. The flexibility of the output media also enables a wide range of marketing instruments to be used for the purpose of addressing customers. In the world of retail, the term multichannel means the use of several sales channels. These channels can be the actual retail outlet, the mail order business or the respective online shop, for example. In this respect, the individual sales run in parallel with each other and do not have any direct points of intersection. The customer orders his or her product online or buys it in the shop. Omnichannel retail is considered to be a further development of multichannel retail. In this case, the channels have intersecting points and thereby provide the customer with the possibility to jump between the channels when shopping. 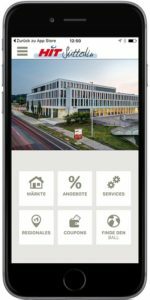 Through the complete integration of the channels across all of the processes, customers can order their goods online and collect them in the shop. It is therefore possible to access the entire offering on an omnichannel basis, i.e. via every sales path. These days, numerous digital sales technologies are used for the purposes of superior presentation. 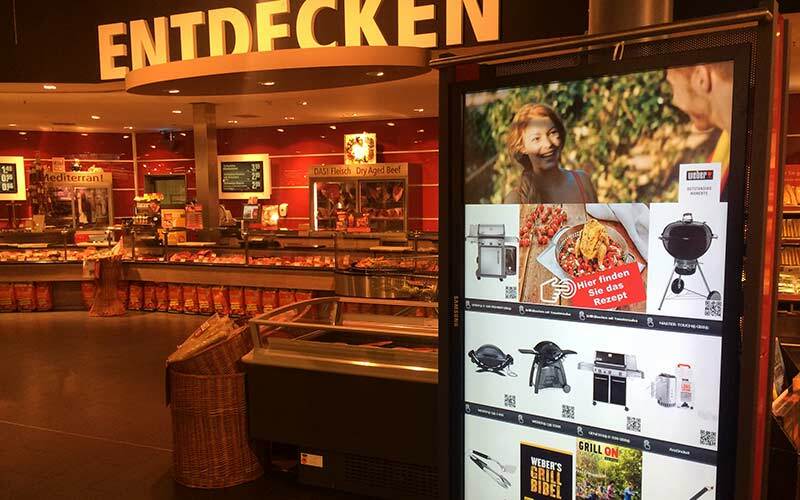 Inspiring images and attractive product or image videos guide the attention of the customer to the product, whether it is via a video wall or individual display screens in and/or on the shelves, at the checkout or even at the weighing scales in the self-service area. 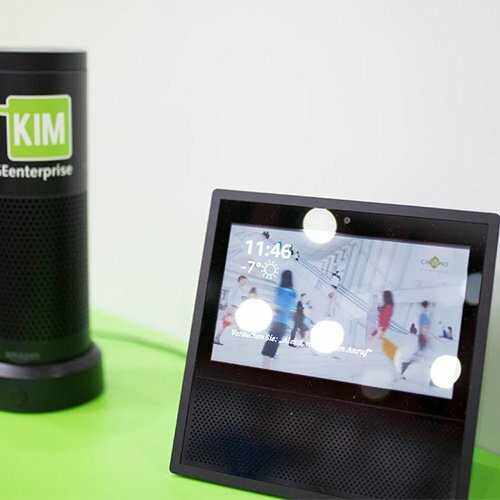 Informative digital assistants also support the sales staff in the shop itself, ranging from well-positioned kiosk applications, to touch-screens, to mobile solutions. The implementation of interactive digital services is the key step for the omnichannel marketing and the optimum combination of online and offline offers in the marketing mix, taking all channels of communication into account—just as today’s customers expect. Finding out about your product of choice in the internet in advance, partaking in the haptic experience in a shop and receiving additional advice from the shop team—before taking your product home with you, ordering it and collecting it in the shop, or arranging for it to be delivered to your home. It is of decisive importance for the retailer maintains the proximity with the customers throughout the entire customer journey and makes the right offer to them at the right time. In this respect, the key phrase is “seamless shopping”—and it is certainly more than a passing trend. Once the generation of “digital natives” are earning their own money—at the latest—it will rapidly become clear which retailers have invested sufficiently in digital, mutually interfacing retail technology and aligned their processes according to the new challenges. Digital solutions offer a wide range of new possibilities for being able to gather data on customers’ buying behaviour and preferences. “Big Data” is a key topic of our age. Gathering data remains a comparatively easy task, but analysing it is an art which is still in its infancy, even though some very successful concepts have already been developed for this task. It is important to create the conditions for being able to measure the impact of the use of the digital media right from the start. Only in this way will it be possible to derive measures so as to further develop the basic knowledge about customer behaviour, to better understand the target groups and be able to address the customers on a more individual and above all targeted basis without annoying them by being overly intrusive. With PRESTIGEenterprise as holistic digital signage and label printing software, you are represented on every channel in the era of ever advancing digitalisation.